Treasurer, Steve Kolpacke, gave financial report. Club is in good shape. Steve has specifics if needed. 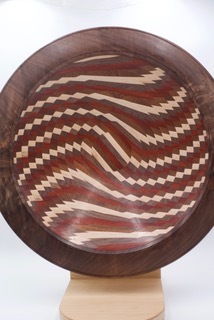 Follow up the AAW, American Association of Woodturners Scholarship. We had the opportunity to nominate one person for the scholarship. Deadline for submittal is 1/21/19. Jeff’s name was drawn and submitted as our club’s nomination. General discussion: Lease was signed, and in exchange for the Holiday Sale occurring on the first weekend of December, we don’t have our meeting on the third. Third Saturday is available for a meeting in December in future years if we so desire. New rental contract has $5/month (10%) increase. Treasurer: The club and the Eisenhower Center are doing fine after paying for bills. Steve is collecting dues for this year. Please pay your dues as soon as possible if you haven’t already. AAW scholarship: Jeff organized and was selected as our club’s nomination for the AAW Scholarship. Rockler: We were invited to participate at a woodturning demonstration at the Rockler Store in Novi (26160 Ingersoll Dr. Novi, MI 48375) and publicize the club at the same time. 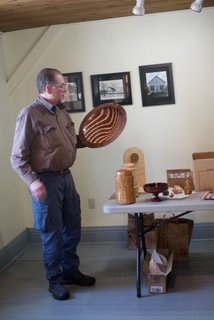 Jeff is going to do the demonstration from 11:00 AM to 1:00 PM, 2/19/19. Detroit’s club has the second slot in the afternoon to demonstrate turning from 1:00 to 3:00. AAW sent a packet of AAW material to be displayed at the Rockler presentation. Jeff wants some cards and a flyer for the club to be laid out during a presentation to encourage others to join our club. Rockler wants their carbide tools used, but other standard tools can be used as well. Jeff would like someone from the club to accompany him to help talk to people about the club. Erica supplied the flyer and Dan the cards. Eisenhower has a new lathe. On 2/3/19 The Tool Shop is going to pick up the old lathe and sell it, all proceeds go to the club’s Eisenhower Center fund. If you have old tools that you’d like to donate to the club, let Jason know at The Tool Shop (6138 N. Canton Center Road, Canton, MI (734-667-33016) and he will sell them with the understanding that all proceeds go to the club for use at the Center. Dan mentioned that recently a participant said that turning helped in his (her?) self-confidence and Erica said one client felt it was the best program the center offered. Tuesdays and Thursdays are the meeting days from 2 to 4pm. 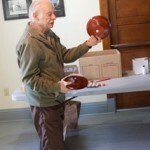 The center helps people with traumatic brain injuries. Russ started the program 6 years ago now. We were awarded several scholarships from AAW for this volunteer program with an article about it in the AAW journal. It was suggested that we need to advertise on our web site regarding the Eisenhower Volunteer Program. We also need to verify the balance of the year’s club meeting dates. Our new rental agreement does not address our April 21st meeting which falls on Easter this year. It simply states we can use the community center the 3rd Sunday of each month for our meetings. Jeff is going to check into options as we probably do not want to meet on Easter Sunday. Look for more information on this in the future. Jeff is going to look into possible options for storing the monitor somewhere besides the basement for future DVD presentations. No reply on a warranty of face mask option yet. Dan is working on this. (UPDATE: For the respirator warranty you would have to deal with UK manufacturer directly which would be a big hassle.) We will not be obtaining one of these for the special raffle, but if several people want to buy one on their own we could look into saving on shipping or possibly a discount for purchasing multiple units at one time. Ideas for future special raffle items were solicited from club members. 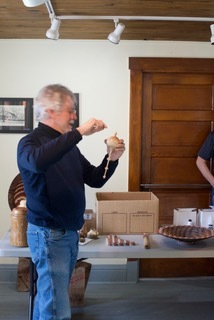 Different gouges, carbide hollowing tools, the Don Derry Hollowing tools were discussed. 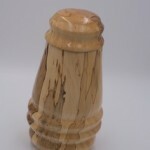 www.derrytools.com 7020 Manastash Rd. Ellensburg WA 98926 The Epoxy West system is used by Erica and she likes the results, another possibility. Other ideas suggested for the Special Raffle included: Negative rake scraper, Chatter tool, Bead tool. Club officers will consider all the suggestions and make a decision in the near future. 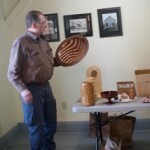 Collaboration with other clubs: Jeff received an email from the MI-Oh Woodturners. They want to set up a remote demo with a professional, well-known wood turner and wondered if we might want to collaborate with them. No presenter has been established or scheduled yet, VP John Fink is going to follow up on the details such as what are the financial implications between the clubs? Setting up demonstrations: We brainstormed ideas for demonstrations for upcoming meetings. Erica suggested having back up YouTube or DVD presentations using our monitor. 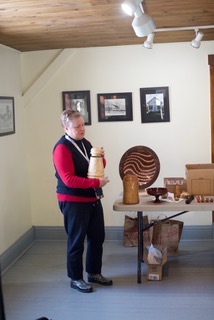 She wondered if we should ask the Webster Historical Society if we could bring up the monitor to the second floor so that we didn’t have to keep carrying it up from the basement. Jeff thinks he can manage to do that each time we need it. There was also a discussion about visiting each other’s shops and share what we have learned. 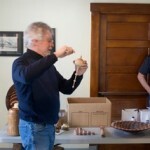 Jeff will do a demonstration on basic boxes for the February Meeting. Other Sales: Dan was contacted by Huron council of the arts, sale of the arts in June. The cost per 10×10 space is $150 plus $21 application fee. Jeff says this is not an unreasonable charge. They would provide the club an extra half space to demonstrate if we rent a space. No decision was made on this. Welcome: A potential member/guest stopped in for the meeting, Steve Beckman who is retiring this summer, He is interested in joining our club and/or the one in Pontiac. He will meet with Russ or possibly other club members at their workshops for some orientation and mentorship. Holiday Sale/Benefit: Steve indicated that Holiday sales event went well raising $3,400. $600 of the revenue goes to two charities. He is considering ways to streamline the cash collection process for this year. He suggests that each vendor handle his/her own sales and just give the total of the charity donation at the end of the sale. “Little” Joe was acknowledged for taking on leadership of this event since Erica went to Rome on vacation. Dan was his right-hand man. 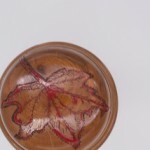 Safety: It is especially important to wear a breathing mask when using wood with fungus i.e. 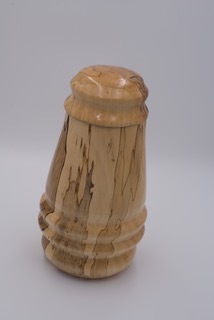 spalted or other woods that trigger allergies. 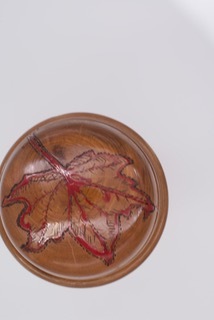 Characteristics of wood with fungus are the black lines between growth rings. John reminds us that we should use masks whenever we turn, the dust being detrimental to our lungs. Show and Tell: Jim bought a lightbox to better record the work of our club membership. This month John, Erica, Joe, and Mark brought in things they made. 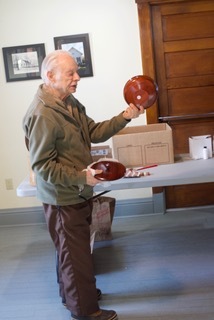 Joe Eisley presented a bowl and cover he turned. We cut the discussion short because the business part of our meeting took a long time. Notice: Steve has his work displayed in Canton at the Village Theater for the month of January. Located at 50400 Cherry Hill Rd. Canton, MI 48187. Open from 10:00 to 2:00 on weekdays. Kudos to Steve for his fine work. Demonstration Time: John had very little time to show a DVD on the Skew. He stopped the video from time to time to highlight important aspects like how one holds the skew at an angle on the tool rest. Viewing these DVDs is helpful for the good camera work and seeing close up the actual turning. 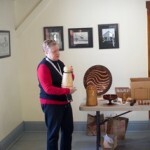 Eisenhower Center Volunteer Program: more volunteers welcome! This is our club’s outreach to physically impaired by traumatic brain injuries. 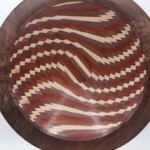 Club members are encouraged to use Woodturners Wonders, www.woodturnerswonder.com for some of their shop needs. If you do so and mention HVWT, the club will receive points that it can use in the future. October: Saline Wood Carving Show at Old Liberty High School on Ann Arbor-Saline Rd. December: Holiday Club Sale/Benefit – located at Crossroads Community Center the first weekend in December.